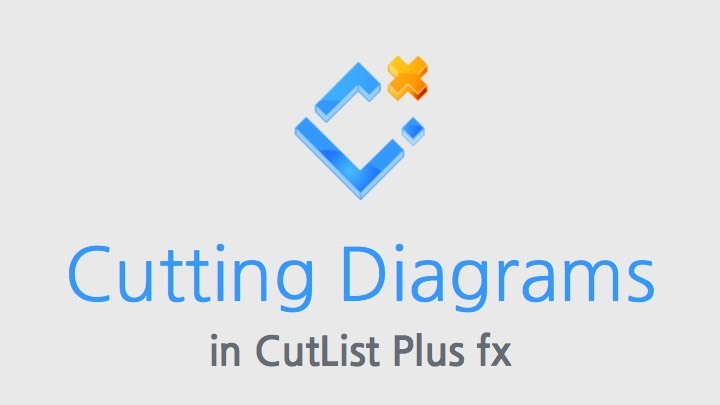 If you would like to follow along with the video, here is a copy of the project file used to create the cutting diagrams tutorial. Your optimized cutting diagrams are shown as a scrollable list of thumbnails on the right, and a detailed view on the left. CutList Plus will generate layouts for your sheet goods and dimensioned lumber, automatically picking the best size panels or boards. You can drag parts to rearrange them on diagrams, or move them to other diagrams. When you move close to nearby saw kerfs, those kerfs light up and the part will automatically snap to alignment. You control the optimization process through settings for optimization objective (minimize cost or minimize waste), part alignment and other preferences, as shown here.